Marketing is one of the most crucial factors that determine a company’s prosperity. Not only does marketing builds a strong brand image among the customers but can also help increase sales, grow business and engage customers. Marketing is advantageous when it comes to educating a pool of customers about upcoming products and services. Marketing is the most effective way to communicate your value proposition to the customers. The main aim of business is to earn money and marketing is an essential channel to reach that end goal of selling quality products and services to maximum customers. 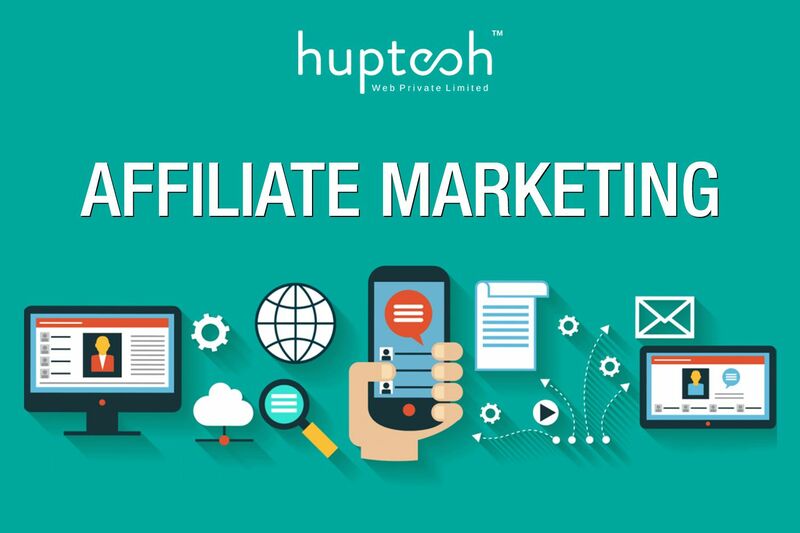 Affiliate marketing is an e-commerce process of appointing affiliates with similar interest by the product owners. These affiliates are required to promote the owner’s upcoming products and services on their own websites or pages and in return earn some commission and rewards could also include discounts, gift cards, and free products. 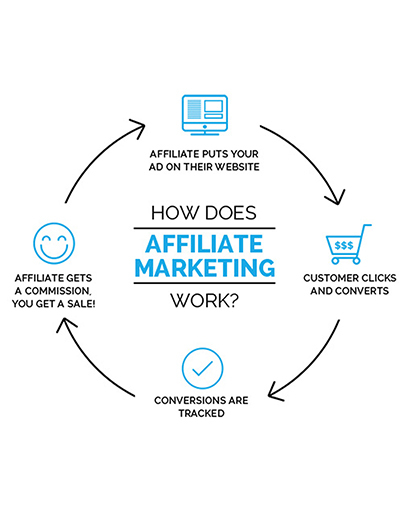 Affiliate marketing is beneficial for both brands and affiliates as it helps increase traffic to their respective sites and build significant revenue. This type of marketing is important because it is much easier than building your own company and creating your own products because there are more efforts involved in opening a business than just simply advertising and promoting other people or company’s products. Thinking about how to start, what to do, things to comply and all those requirements are very time-consuming. Affiliates are only rewarded if they generate a sales affiliate marketing one of the few marketing processes where you can get a 100% return on investment every time. 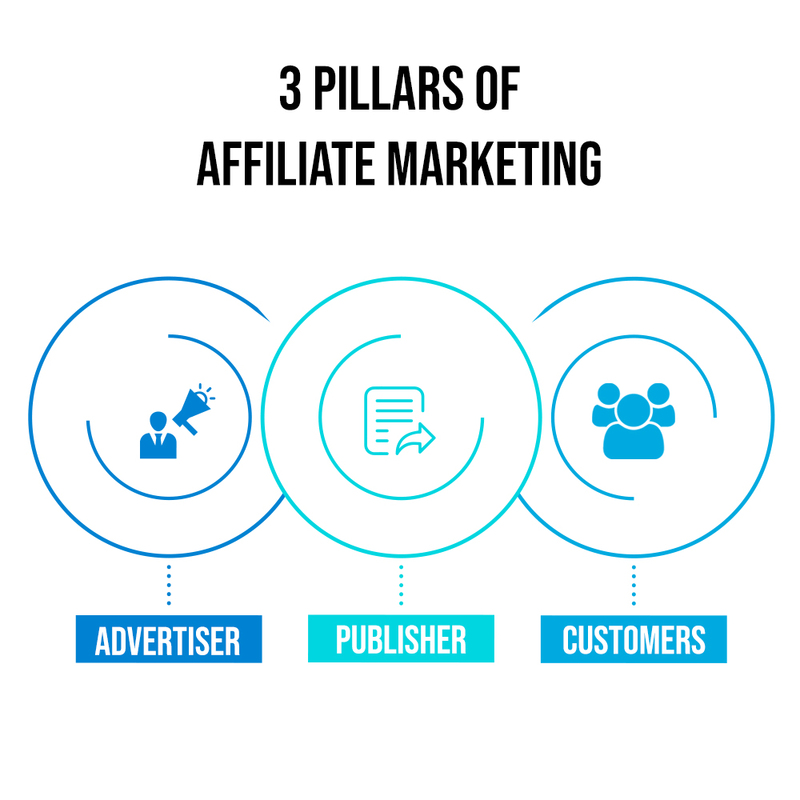 With a paid subscription, these online platforms help businesses with affiliate marketing by focusing on trending social commerce, increasing traffic, and giving retailers an affordable and effective way to reach out to affiliates. Affiliates can also range from single individuals to entire companies. An affiliate marketing business can produce a few hundred dollars in commissions each month or tens of millions of dollars. An advertiser can be a company or an individual who provides the products to the publisher who is ready to promote their brand products on a personal website or blog in exchange of payment. A publisher is a company or an individual who is ready to promote a particular brand’s products or services on his personal blog/website where he/she has more engaging followers who might get ready to buy the product. In a layman’s language, the publisher acts as a mediator between advertiser and customer. These customers, in particular, are the ones who follow the activities and products the publisher promotes. They read blogs about whatever good the publisher has to say about the featured product or services. Thus, customers might or might not buy depending on how convinced there. These publishers are also known as ‘Influencers’ as they influence the purchasing power of their customers. Affiliate marketing has no different meaning under digital marketing. Affiliate marketing overlaps with other Internet marketing methods to some degree because affiliates often use regular advertising methods. Those methods include organic search engine optimization (SEO), paid search engine marketing (PPC – Pay Per Click), email marketing, content marketing and in some sense display advertising. Pay Per Click(PPC) – In this online advertising method advertiser only pays to the publisher when an ad is clicked and hence it is called PPC. Pay Per Sale(PPS): in this particular online advertising method, a publisher is paid on the basis of a number of sales that generated through his/her page. Pay Per Lead: In this method the advertiser pays the affiliate based on conversions like file download, sign up an account or any other desired action that generated lead via affiliates blog or website. Affiliates in with similar interest will drive traffic to your website which will generally convert into more sales. With affiliates promoting your brand on different platforms, even non-affiliates will gain interest in your brand. The more they talk about you, the better it would be. There is no required upfront investment, and affiliates are paid only through commissions and few rewards. That means affiliates do not get rewarded unless they generate sales. Loyal customers already using your products will be motivated to share your brand even more. online retailers, affiliate marketing carries a much lower profile. Still, affiliates continue to play a significant role in e-retailers’ marketing strategies. In affiliate marketing, all you have to invest in a little of your time, effort and knowledge in marketing. You don’t even need to spend a penny in signing up for any program and profit come in faster. The profits gained in any affiliate marketing business are from the wealth of established companies. You will be entitled to receive a portion of their income in form of commission from every product sold or any service rendered. Hence, it gives you the feeling of being part of a larger business community.